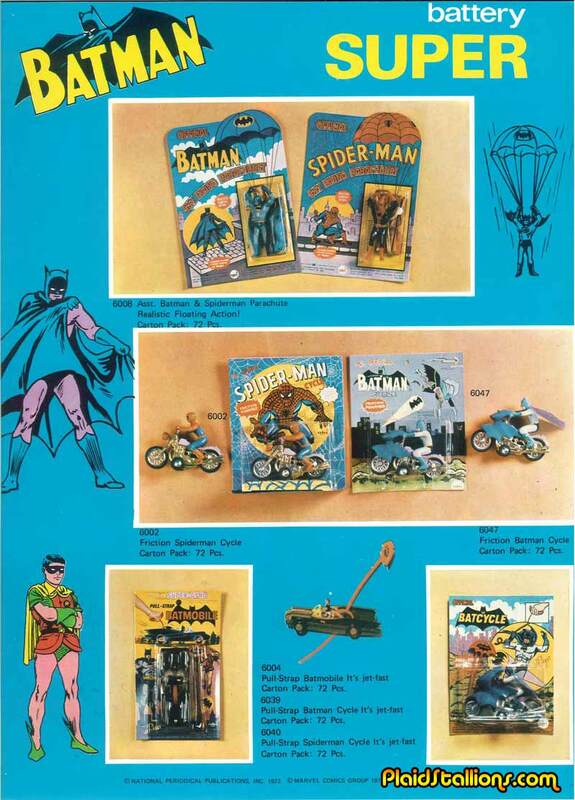 1974 saw Superhero merchandise take a dramatic rise after a lull in the late 1960s. Predictably, Batman was leading the charge, the character's popularity insured by reruns of both a live action and two different animated series. Although much younger a character than Batman, Spider-Man's popularity had grown to phenomenon by 1974 and he too had an animated series, three monthly titles and a daily comic strip. Everything the Caped Crusader got, the webslinger got as well. I love the early test art for the Bat Cycle, it looked very different upon release.